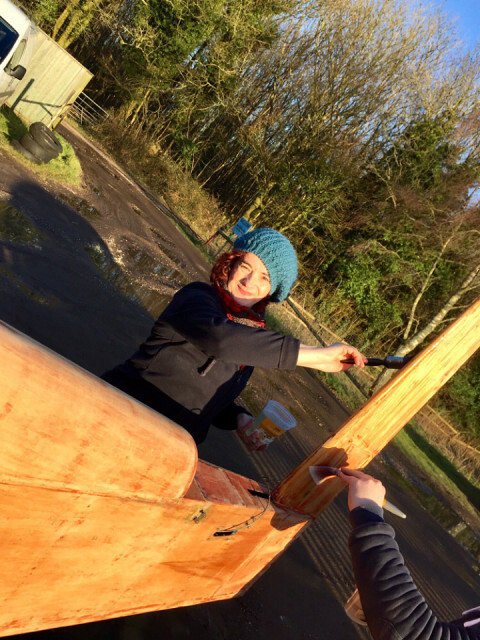 Saturday afternoon basking in the sunshine... while painting dope on a fuselage stood in a muddy car park! A great effort of team work at the Turb workshop today as we had a production line of doping, glue-ing fabric and general fettling. My trip to the coast postponed to another day but the team appreciated another pair of hands. Spent the evening at Mum and Dad’s catching up on the Winter Olympics Men’s solo figure skating freestyle. The Japanese competitors were incredible.